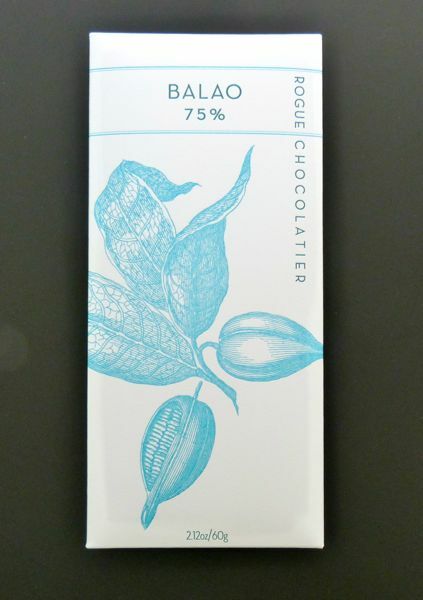 I'm delighted to kick off Chocolate and Ecuador Theme Week today with this dark chocolate Balao 75% bar from Rogue Chocolatier (Three Rivers, MA). 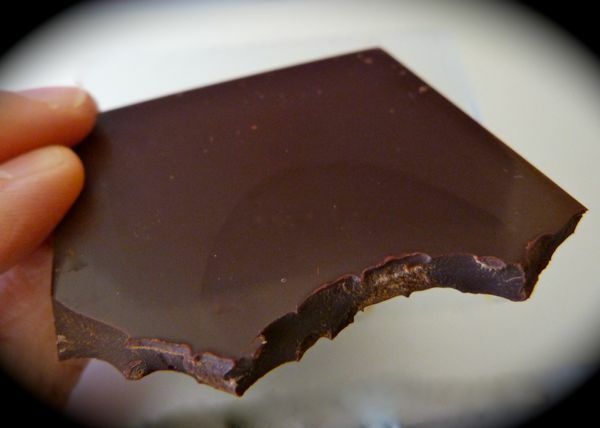 Rogue founder, Colin Gasko, launched a successful Kickstarter campaign in 2012 to raise money for improved equipment -- to up the ante on what already were well executed single origin dark chocolate bars, that have routinely sold out quickly. Colin is a bean-to-bar maker, an art that requires attention to detail, patience and technical skill -- from start (sorting dry, fermented beans upon arrival) to finish (ensuring bars are properly tempered, molded and packaged before shipping), with all important production steps in between. More work, but these new American makers, like Colin at Rogue, are producing some of the best small-batch dark chocolate in the U.S.
Judging from this simple, two-ingredient bar (made with cocoa beans from Camino Verde, Ecuador and cane sugar), the new equipment/process was a success. 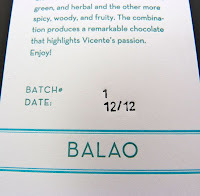 I received this bar from Batch #1 as part of the Kickstarter initiative (I was one of many funders). 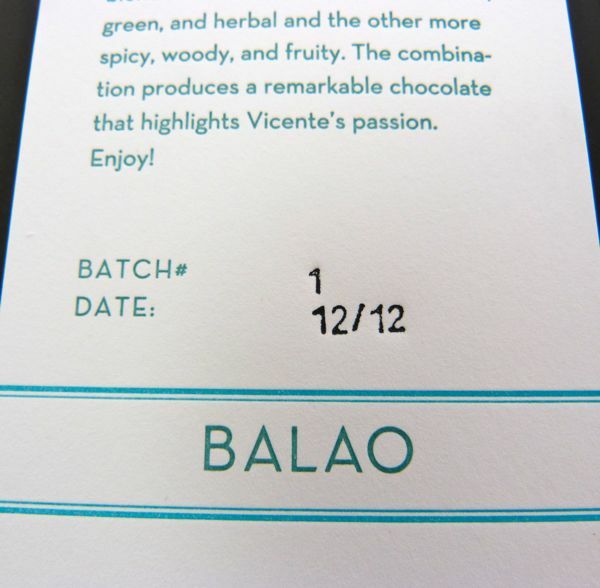 The bar maintained a smooth, subtle fruit acid flavor throughout the tasting experience, with a slight floral note at the very end. A very nicely balanced, and well-crafted bar. Uniform and still very interesting.